The Art of Science: Voyage Redux, with bonus! Voyage of Discovery, an art exhibition I created together with Jessica Beels and Ellyn Weiss, will reopen on Thursday for a two-month run at the McLean Project for the Arts in McLean, VA. The artwork in Voyage of Discovery has its roots in the idea of a journey of scientific exploration, in the tradition of Darwin, Wallace, and the thousands of scientists who constantly travel the globe in search of new findings. This imaginary voyage takes viewers to a polar region where the iconic, seemingly eternal, landscape of ice and snow is in profound and rapid transition due to climate change. The pieces in the show – ranging from ink paintings to wire and paper and wax sculptures to a massive 30 foot fabric installation – reflect our artistic responses to the transformation of land and sea as the planet warms. The show looks at many aspects of climate change – not only the obvious, like the melting of glaciers and the thawing of permafrost, but also more subtle effects, like the movement of previously unknown species and microbes into the Arctic and the dramatic shift of the color of the land from white to green to black. As a special bonus for science fans, the reception takes place on the same day that renowned science writers Carl Zimmer and Sam Kean are speaking in the same building as part of “Fall for the Book”. Their talk starts at 7:30. So if you arrive at 7, you can take in the art, have a glass of wine, and then go downstairs and hear more about some fascinating science. Win-win. 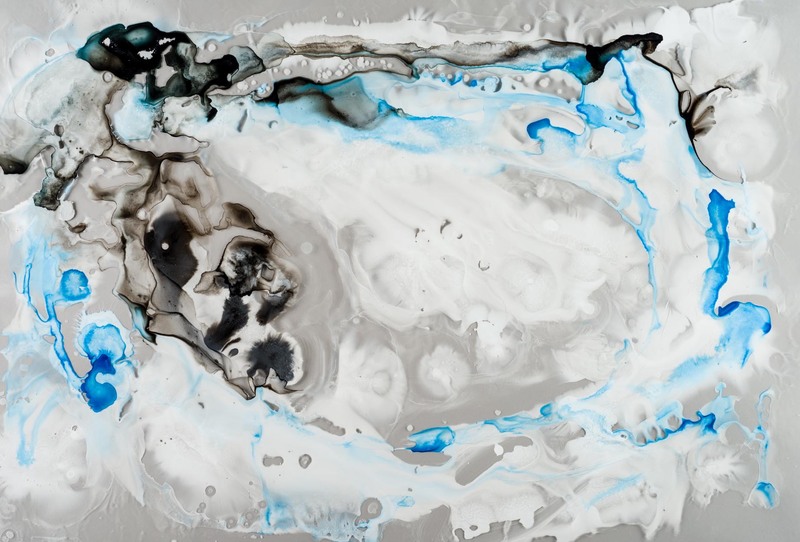 This entry was posted in The Art of Science and tagged Art, carl zimmer, climate change, Ellyn Weiss, Emerson Gallery, global warming, Jessica Beels, McLean Project for the Arts, Michele Banks, Sam Kean, sciart, voyage of discovery. Bookmark the permalink.